I've never watched this show. Is it like "Grimm"? Those are really some really nice boots! 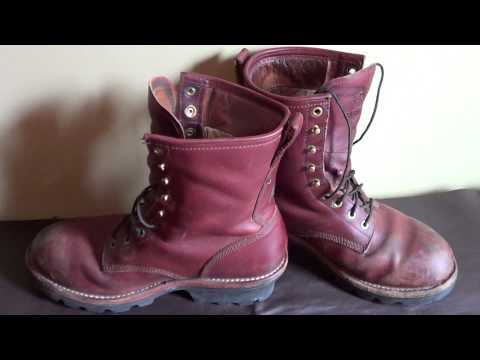 I've been talking about my Rocky Mountain Logger Boots like what Dean Winchester wore for several seasons, so will get a photo of mine up here for all of you boot men to salivate over... Any of you boot men have a pair? I've got the cordovan like he was wearing, an also a black pair. Rocky Mountain retired them but they still pop up on E-Bay. And by the way, Rocky Mountain has a new style of Loggers called Ripsaw, but are no way as good. The burgundy ones are Rock Mountain Logger Boots. I have a pair, so comfortable, nice underslung heals and height, excellent vibrate soles. Lately, the brown ones that he is wearing look like Chippewa with great soles an heels. There are quite a few questions and answers at the Quora link above.